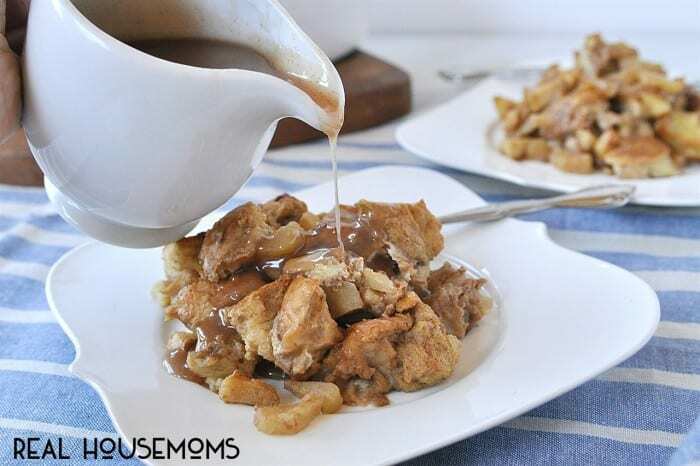 The entire family will love gathering around the table for this comforting Apple Cinnamon Baked French Toast breakfast! With the holidays fast approaching that also means family and friends visiting. I love having visitors but one thing I always stress over is what to feed them for breakfast! I want to feed them something delicious but don’t want to have to get up hours before they do to have it ready. 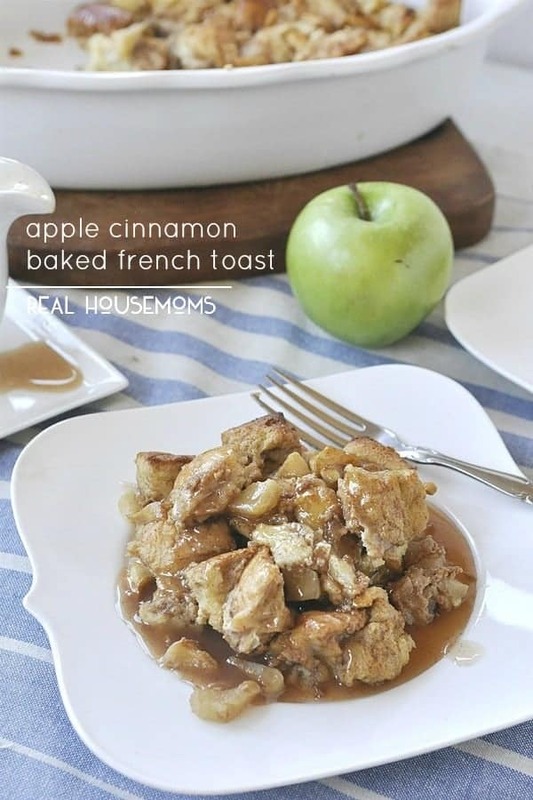 Today’s recipe for Apple Cinnamon French Toast is the perfect easy casserole recipes solution. It is delicious but can be put together easily in the morning, especially if you cut up your bread the night before. It is also the perfect things to serve your family on Christmas morning or any morning. The bread is soaked in the milk mixture for ten minutes and then mixed together with the carmalized apples. We love to serve it with Cinnamon Syrup to give it even more cinnamon goodness. 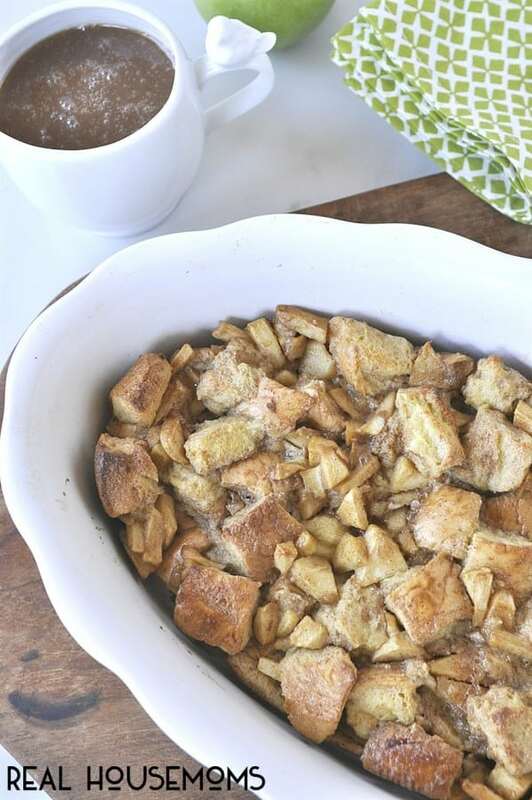 Your overnight guests aren’t going to want to leave after you serve them this Apple Cinnamon French Toast Bake! Mix together eggs, half and half, milk, sugar and vanilla. 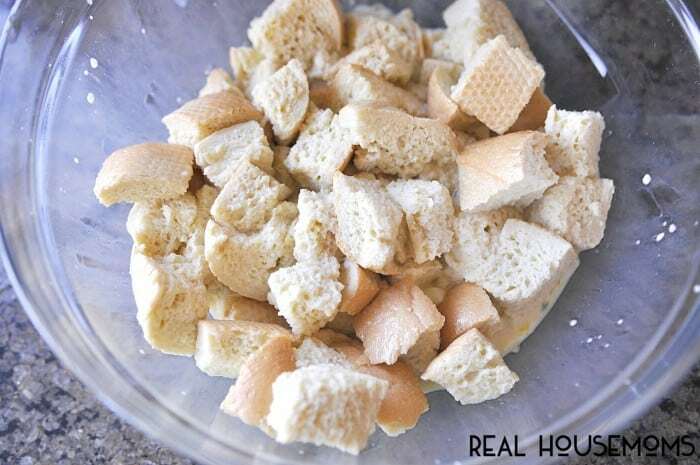 Add in bread cubes and stir until milk is soaked up. Let bread sit for 10 minutes. 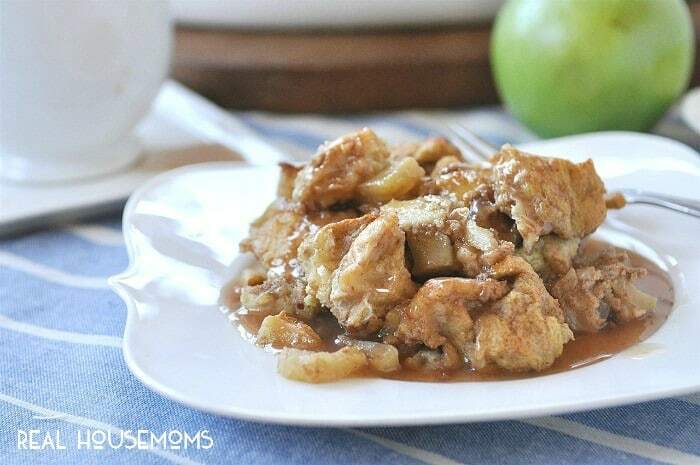 Melt butter in pan and add apples and brown sugar. Stir until the apples are warmed through but not mushy. Add apples into bread mixture. Pour into baking dish. Bake in oven for 35-40 minutes or until golden brown on top. I'm Leigh Anne! I write our Homebased Mom, a food and lifestyle blog sharing hundreds of delicious, family-friendly recipes, and entertaining ideas that everyone will love. This is SO perfect for fall!